This Food on Friday is designed to learn more about Middle Eastern Cuisine – about all I know about it is that preserved lemons are often involved – so it will be a steep learning curve for me. To add to the collection just put the name of the dish and your name into the first Mr Linky box and paste the url of your post about it into the second box. If you are a first timer, please let us know in your comment so that we can welcome you to the Food on Friday community. I'll be pinning your dishes to this Pinboard just as fast as I can manage. Hi, Carole, Baked Chicken with Cardamom (Middle Eastern Style) - #6 - is really easy and a great way to use some cardamom, Coriander and cumin that you may have just sitting in your spice rack. Thanks for another great party Carol. I've submitted my Moroccan Greens with Preserved Lemon and Fried Egg. Yummy Breakfast. I fell in love with Turkish food after our trip last year. Adana Kebab is a traditional kebab in the southern region. How fun, I've got a couple of recipes I can share. 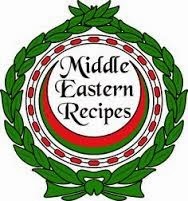 I'm excited to see all the Middle Eastern recipes! We hardly ever venture into this realm but I LOVE the flavors and spices from this region! What a nice variety of recipes! I'm pinning many :) Thanks for hosting, Carole. My family and I have been discussing what constitutes the Middle East, separate from the Mediterranean and the Far East, and we've settled on Iraq, Afghanistan, and the surrounding 'stans. Since I still haven't posted the rice recipes my spouse shared after his last Iraq deployment I'll share a Lebanese Fattoush dip with Kale hummus. I love Middle Eastern Food! I posted a tagine from four years ago - must make one again soon! Great category. Sumac Chicken and Cabbage posted with link to Mediterranean Black Bean Salad. Ta! Yes yes yes, one of my favourite regional foods! Thanks, Carole! I love this regional food and sweets! We have it a lot around here in Ecuador as there are lots of Libanese background people immigrants from the last one hundred or more years. Thanks for hosting. Love middle eastern food! Had quite a few recipes to add. Lots & lots of Middle Eastern dishes in my repertoire but I have gone with a light alternative to the traditional Harira. Enjoy! Might have got a bit carried away with this one, it's just the best theme ever! YUM! What fun! Thanks for the round up. I posted my own version of Gyros with links to my tzatziki recipe. I love Middle Eastern food! Thanks for this great roundup! Hope you are enjoying your weekend. Thanks for hosting! I'm loving this week's FOF!